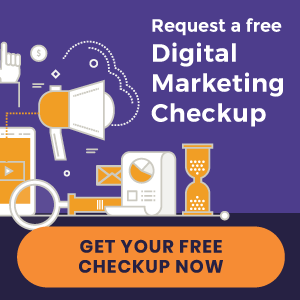 Chiropractors Dr. Chris Yavis and Dr. Caitlin Zietz seek to restore your health and help you live a better life with natural, safe and effective chiropractic are. Regain your body’s function! 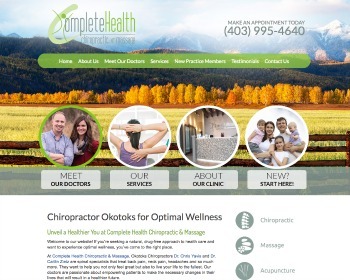 Discover what true health is all about at our wellness-based chiropractic office. Whether you’re an adult looking to live a healthier life or want care for your child, we can help. Learn more about our offerings by visiting our website today. Chiropractor Dr. Gregory Marin takes the time to listen to his patients and provides the highest quality care. Dr. Marin specializes in spinal decompression and prenatal and pediatric care. Visit our website today! 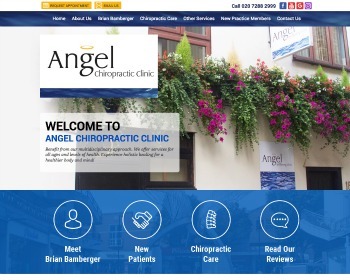 Chiropractor and owner Dr Brian Bamberger offers holistic healing solutions at our multidisciplinary practice. Our experienced team has a wide range of services to fit all ages and levels of health for improved wellbeing in mind and body. 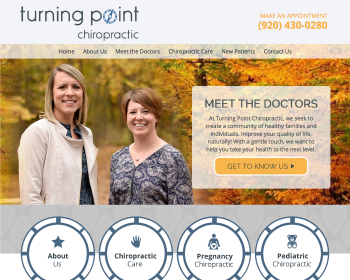 Providing care you can trust, Chiropractors Dr. Brooke Peters and Dr. Leah Hetebrueg focus on offering natural family care. 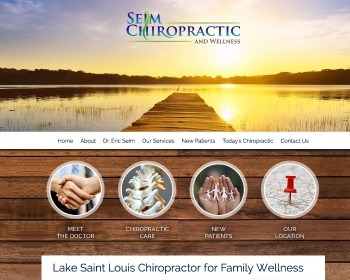 They use gentle, instrument-based adjustments and provide pregnancy and pediatric chiropractic. Visit our website today! 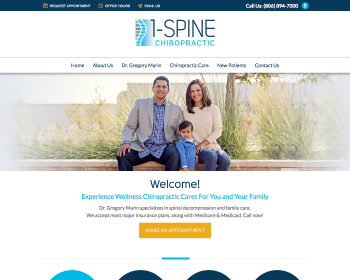 « Introducing New Chiropractic Websites for Green Chiropractic and more!